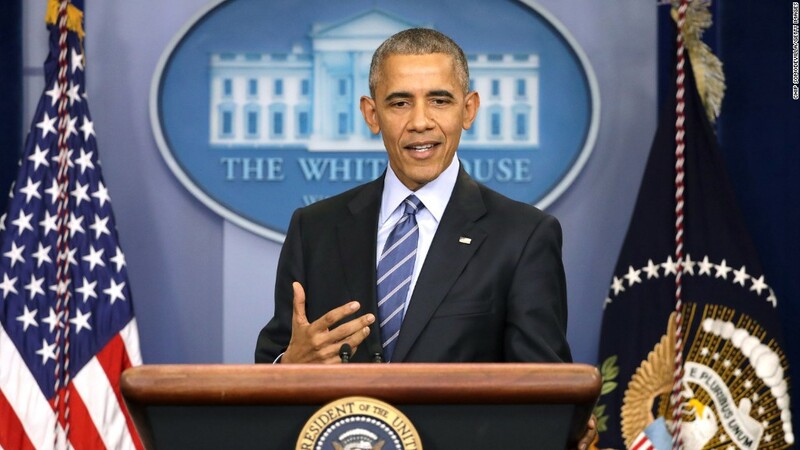 As the United States plots retaliation against Russia for allegedly using hackers to influence the U.S. election, President Obama warned Friday that the United States has more to lose in a cyber battle. "Our economy is more digitized, it's more vulnerable, partly because we're a wealthier nation, and we're more wired than other nations," Obama said during what is likely to be his final press conference of 2016. 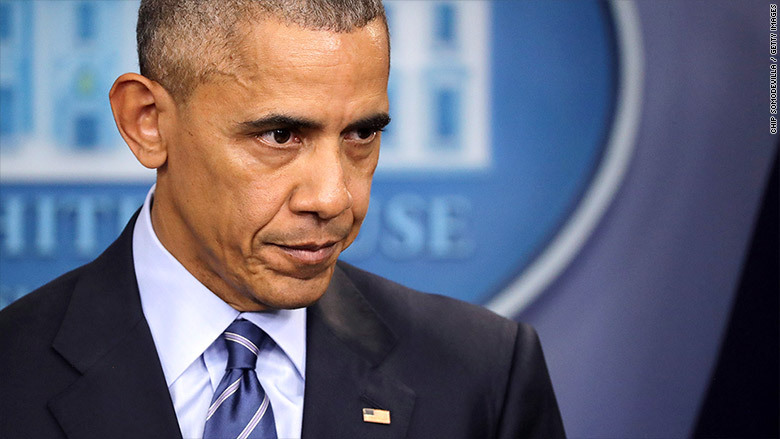 Obama warned this week that he would "retaliate" against Russia for hacking the Democrats during the election in what intelligence officials have concluded was an attempt to help elect Donald Trump. The world has never been on the brink of an open cyber conflict. "If the Russians took down Facebook or Instagram or Twitter or Snapchat, the American public would lose their minds," said Patrick Wardle, a former National Security Agency hacker who's now a researcher with cybersecurity firm Synack. President Obama warns the U.S. is more vulnerable than Russia to hacking. The stakes, however, could be much higher. "If we are in fact more digitized, then yes -- the potential to cause damage to critical infrastructure is greater," said Austin Berglas, a former FBI agent. "A three-pronged attack against our power grid, transportation, and financial systems would be devastating and potentially viewed as a terrorist attack against the United States," said Berglas, who's now a cybersecurity consultant at a private firm, K2 Intelligence. And if the United States seeks additional economic sanctions against Russia, American businesses could be perceived as fair game. Laura Galante, director of global intelligence for the cybersecurity firm FireEye, said Russia could hack "U.S. businesses and executives for reputation damage." A corporation's image could be tarnished the way the Democratic Party was hurt by embarrassing hacked emails. There's a concern that the Russian government is willing to do more harm than the U.S. government. Russia is already accused of hacking Ukraine's energy grid a year ago. And Russia has used hackers to meddle with the politics -- and state infrastructure -- of its neighboring countries Ukraine and Georgia. "It's clear Putin does not care about sanctions or other diplomatic means we might use to get him to back down," said Columbia University scholar Jason Healey, who calls international hacking "the most escalatory kind of conflict we've ever come across." Dave Aitel, a former computer scientist at the NSA, suggests a more aggressive American response. "You want to start with a bit of shock and awe," said Aitel, who founded the cybersecurity firm Immunity. "Let's turn off all the lights in Moscow, then turn them back on five minutes later. And do that every day at a certain hour. It's scary with no collateral damage." Others suggest a more muted approach: Hit back at the Russian hackers themselves and shut down their operation. Some cybersecurity experts disagree with the president. Sure, the United States is more dependent on the internet, but Russia is the weaker, more unstable nation. Ex-CIA director Michael Hayden recently pointed out that Putin's control over his country could be hurt if the United States gave Russian citizens software tools that make it easier for them to speak out against their government. "Dictators may win cyber battles, but they will lose cyber wars," said Kenneth Geers, an ambassador at NATO's Cyber Centre. "Autocracies have fewer immediate cyber vulnerabilities, but also have more single points-of-failure. Their closed nature makes them easier to spy on, easier to shut down, and ultimately vulnerable to cyber-enabled revolution."